Aly and Victoria discuss how you can make your dog feel more comfortable during the holidays. Whether your dog is shy of people or a social butterfly, discover great ways to prevent overwhelm and set your dog up for success. How can you teach visiting children to understand what your dog needs and to respect your dog’s space? Can you feed your dog table scraps? Victoria shares the gifts she’s celebrating this holiday season, including the success of the #LucysLaw campaign, California’s ban on pet store sales, and Australia’s first state to ban puppy mills. Also: dogs unhappy going into kennels, over-bonded pets, and how to create safe boundaries without fences. The widespread outbreak of campylobacter infections due to poor practices on the part of Petland pet stores. A chat with Finding Shelter’s Grace Kelly Herbert in her fight against Amish puppy mills, the state of anti-puppy mill legislation, and how people can get involved locally to fight the puppy mill trade. What’s the real reason so many people won’t adopt rescue dogs, and what happens when fosters or adoptions don’t go well? Also, a discussion about ‘foster failures’, bullied dogs, dogs that don’t like kids, dogs that lean on guests, and dogs that won’t potty outside. How to be prepared for natural disasters with your pet, what happens to dogs rescued from dogfighting rings, how to help your dog want to go out for walks, how to get your dog back inside after potty breaks, stopping barking in shelter dogs, and whether to adopt littermates into a single household. Victoria and Holly chat about the Victoria Stilwell Academy and the latest news from the program. They also answer your most pressing dog training questions! Victoria and Holly cover the latest news related to puppy mills in both the US and UK, and have a fascinating chat with Marc the Vet about the topic. Holly and Victoria invite Working with Dog founder Nichole Smith to the show to talk about her list of reasons why you should consider working as a "petrepreneur." Victoria and Holly chat about the Thanksgiving holiday and what they're thankful for. They also talk about why the month of November is the month with the most amount of car collisions with deer, and how you can stay safe. Victoria and Holly are back with a bang for the first episode of the Positively Podcast's sixth season. Exclusively in this podcast, you'll hear the firsthand account of Victoria's police dog bite accident: what happened, why it happened, and what she's doing to prevent another accident from happening in the future. Victoria and Holly close Season 5 with a discussion on a disturbing video of Rottweiler growling at a child that is persistently trying to hug him, and they chat with award-winning working dog sculptor Austin Weishel. Victoria and Holly chat about what they would do for animals if they won the lottery, Holly's annual "Regiftmas" party, and Victoria's upcoming trip to Villalobos Rescue Center. Victoria and Holly get together on Christmas Eve for a special holiday edition of the Positively Podcast. They chat about a 100-year-old animal rescue volunteer, their holiday pet peeves, and the cringe-worthy Miss USA pageant night. Victoria and Holly talk about the viral story of a military working dog and his handler that were injured during a building search and chat with founder of Mission K-9 Rescue, an organization helping similar dogs and handlers. OK, let’s be honest here: Can positive training really work with an 11-year-old feral dog? Yes. Yes, it can. Positively Dog Training Episode 504 – Thanksgiving! In this special Thanksgiving edition of the podcast, Victoria and Holly welcome back Dr. Paula Bloom, who peppers Victoria with questions about her new puppy, Suki. Victoria catches up with the Positively mailbag in Ask Victoria, and Alex makes a guest appearance to stump the grownups with some tough questions in the (not so) Animal Academy. Dr. Paula Bloom joins Victoria and Holly in studio to talk through the aftermath of the Paris terror attacks and their effect on how we deal with it. Also discussed: Diesel, the French police dog who died while apprehending one of the terrorists, Holly’s recent interview with Dr. Ruth, and Paula’s troubling experience with Vegemite. Victoria and Holly start Season 5 of the Positively Podcast off with a bang, including some great Ask Victoria questions and an interview with 'Of Dogs and Men' filmmaker Patrick Reasonover. Victoria and Holly talk about their experiences in Greece, where there is a massive stray dog problem. 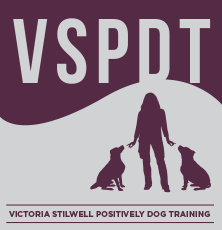 They interview Victoria Stilwell Dog Training Academy Director Tia Guest, and Victoria answers some tough Ask Victoria questions. 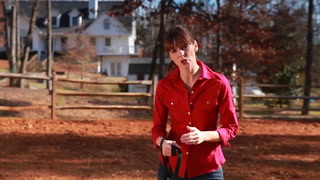 On this special episode, Victoria and Holly dedicate the entire show to answering Ask Victoria dog training questions. From what to do if your dog bites someone to how to improve a dog's fear of loud noises, this episode covers all your most pressing training questions. Victoria and Holly chat about a controversial new documentary that Victoria participated in with the police K-9 unit she has been filming with. They also chat with pet radio host Steve Dale about the unique behavioral and medical issues that senior cats may face. Victoria and Holly talk about international dog welfare controversies, and get Canine Assistants founder Jennifer Arnold on the Positively Hotline to discuss her new concept for training both service dogs and companion dogs. As Victoria wraps up her #poopandtell campaign, she and Holly read some of their favorite submissions. Radio host and pet journalist Steve Dale calls in to the Positively Hotline to chat about cat socialization and stress-free veterinary care for cats. Victoria and Holly celebrate 10 years of It’s Me or the Dog by recapping some of their favorite moments from the show. Just in time for warmer weather, they also discuss the dangers of keeping a dog in a hot car. And you won’t want to miss this episode’s guest caller – Ceva’s veterinary behaviorist, Valarie Tynes. Victoria and Holly talk about Holly’s interesting experience sitting next to a military working dog on her flight. State Farm Arson Dog Program Coordinator Heather Paul joins the show to chat about Victoria’s ‘Arson Dogs’ series and upcoming Arson Awareness Week. And Victoria answers some tricky ‘Ask Victoria’ questions. Victoria and Holly (along with guest host, Positively Director of Digital Content Alex Andes) talk about Victoria’s new #poopandtell campaign, and Holly’s dog experiences in San Diego. This week’s Ask Victoria questions get her all fired up, and Alex stumps both Holly and Victoria with Animal Academy. Victoria and Holly talk about their dogs’ recent health issues, including Jasmine’s dental and Kashmir’s major surgery. Victoria catches up on Ask Victoria questions. Dog trainer Nando Brown pops in for a chat about the upcoming Dog Bite Prevention Conference and their time at Crufts. Victoria and Holly catch up on what they’ve been up to. They talk about Victoria’s two new web series, and what Holly’s been up to with CNN. 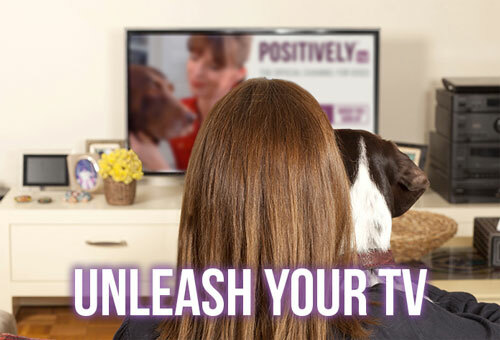 Also on the topic list are dog shows and the various controversies at Crufts, and stress-relieving training tool Adaptil. And you won’t want to miss this episode’s Ask Victoria questions. The State of Positive Gun Dog Training: Who Will Take Up the Gauntlet? I truly believe the only way for positive gun dog training to gain any kind of ground in this country is by developing good hunting dogs, strong hunt test results and some field trial wins. There are indeed positive trainers already making strides, but the numbers comparatively are very small. This must change, and it is fair for those who advocate traditional gun dog training to demand proof.